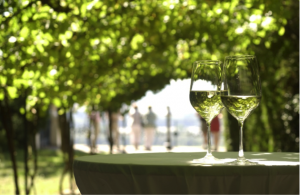 31 days of German Riesling comes to Canada this summer! MAINZ, GERMANY – They say it takes 30 days to acquire a new habit. So embrace the path to self-improvement with “The 31 Days of German Riesling,” a celebration of Germany’s most famous wine varietal. From Halifax to Vancouver, join us in July and August 2016 for the fifth annual “31 Days of German Riesling” promotion in Canada. Starting July 1st, the web site www.31DaysGermanRiesling.ca will list participating restaurants with addresses to drive consumer patronage. Customers will be invited to the site to enter a contest to Win a Long Weekend for Two in Berlin by telling us at which one of the participating restaurants they enjoyed their glass of German Riesling. So raise a glass to “The 31 Days of German Riesling” – a new habit you’ll never want to break!